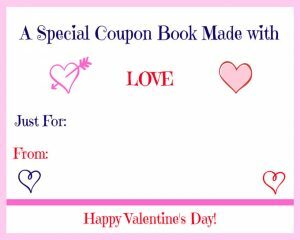 This free printable Valentine’s Day coupon book is the perfect frugal Valentine’s Day gift idea that’s really from the heart. This post contains affiliate links which means if you make a purchase through one of the links below, we may earn a commission fee. I’ve used all the products below and feel they are high quality to recommend for purchase. Thanks for your support! When Mr. Savvy and I first moved in together, we didn’t have a ton of extra money, like most new couples. We’ve never been huge gift givers, instead opting for small gestures and tokens of our affection for each other. I tend to see gifts as meant to be straight from the heart and find that the ones that don’t cost that much money are usually the best to give and receive, and, most importantly, mean the most. At the time, we used coupons heavily to keep our grocery shopping in budget, so I had the idea to create a coupon book for him our first Christmas together. We opted to get some items for the house and kitchen since we both love cooking instead of buying gifts for each other. So, I made up some coupons like making his favorite pie or dinner, doing his least favorite chore for him (I don’t know about you, but a week off from having to scoop the litter box would be awesome), etc. He loved them so much that I continued my new “tradition” on Valentine’s Day. 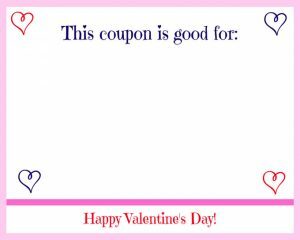 So, I thought I would share my idea for some free printables to make your own homemade Valentine’s Day coupon books full of love and heart felt coupons. 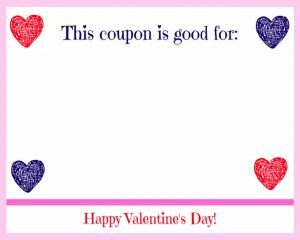 While these are great to give to your significant other as a thoughtful gift as I did, I think these Valentine’s Day coupons are also great to give to the kids or have the kids make for parents as an alternative to the traditional boxes of sugary candy. Besides, what child wouldn’t be excited to pick having pizza for dinner, or choosing the movie for family night, right? 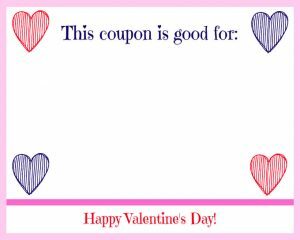 Here are some ideas of what to make the coupons out for. 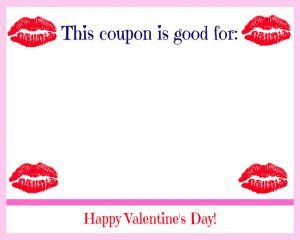 All right, here are the Valentine’s Day coupon book printables. 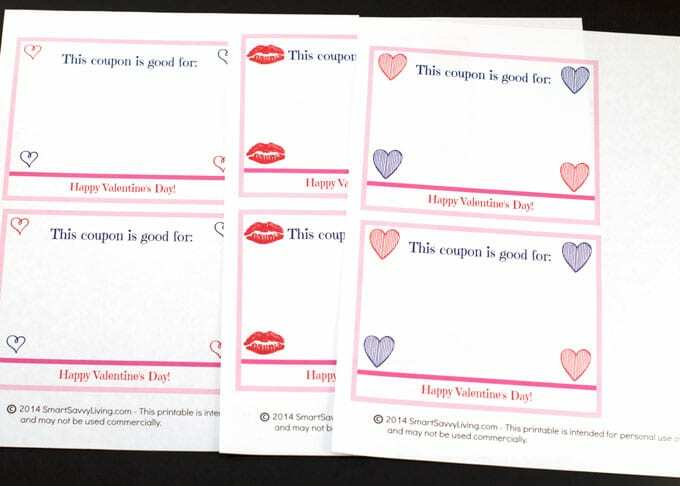 Note that each page contains 2 of the coupons pictured and are larger than they are pictured below. Each page is in PDF format and by clicking on the image you’ll be taken to the PDF file that you can save and then print, or you can alternatively use the link to save/print from Google Drive for free. You can print on paper, or card stock to make it a bit more sturdy, then cut them out. 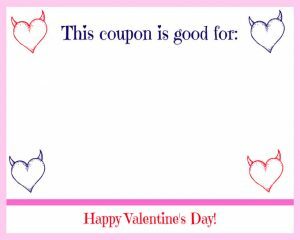 Then just take a nice pen or marker and fill out what you want the coupons to be for (remember any fine print such as the kids not being able to redeem staying up late on school nights). I then used a heart-shaped hole punch (I got a great deal on getting a heart, circle, and star punch for under $10 for all 3!) on the side (or corner or top middle) after stacking the coupons. Then I just cut some red ribbon and tied them all together for an extra special touch. I think the books are beautiful enough to give like this, or you can take an extra step and pretty up a decorative envelope. 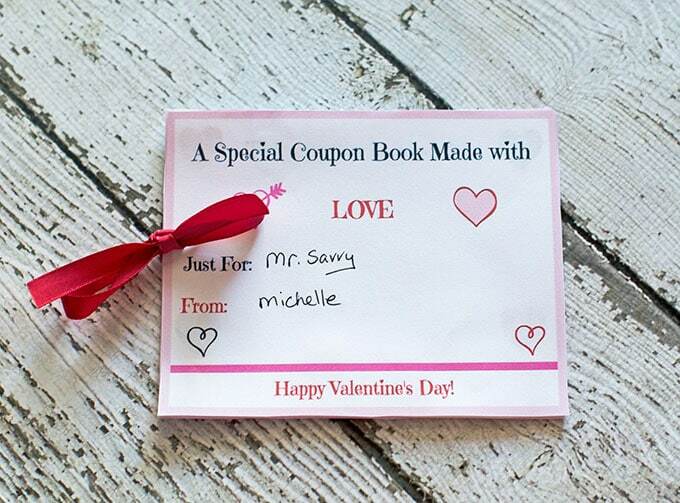 This printable Valentine’s Day coupon book set is a bit better quality from the one a few years ago when we were still MoneySavvyMichelle.com, but if you would like to get those graphics instead, you can find them here. 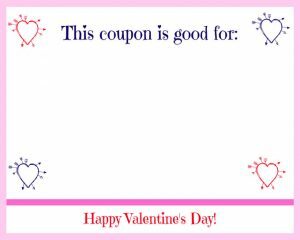 What the previous completed Valentine’s Day coupon book looks like. Happy Valentine’s Day! 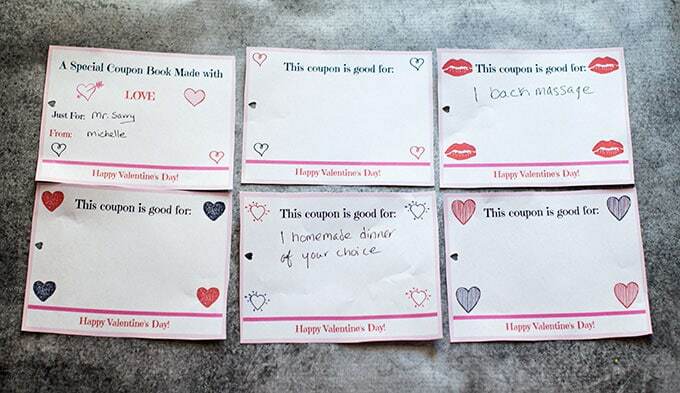 What would you like to receive a Valentine’s Day coupon for? 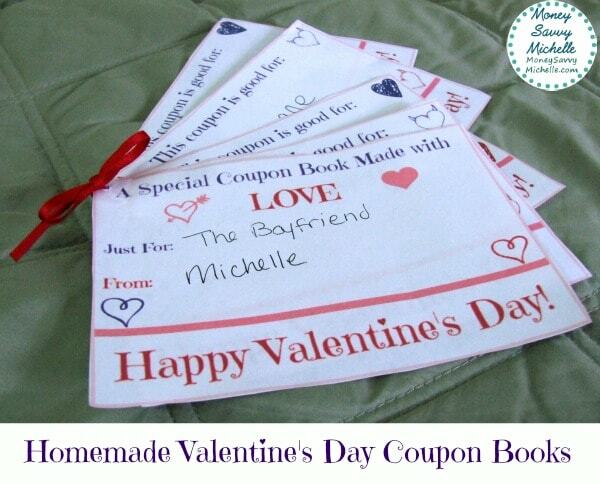 Looking for more Valentine’s Day gift ideas? 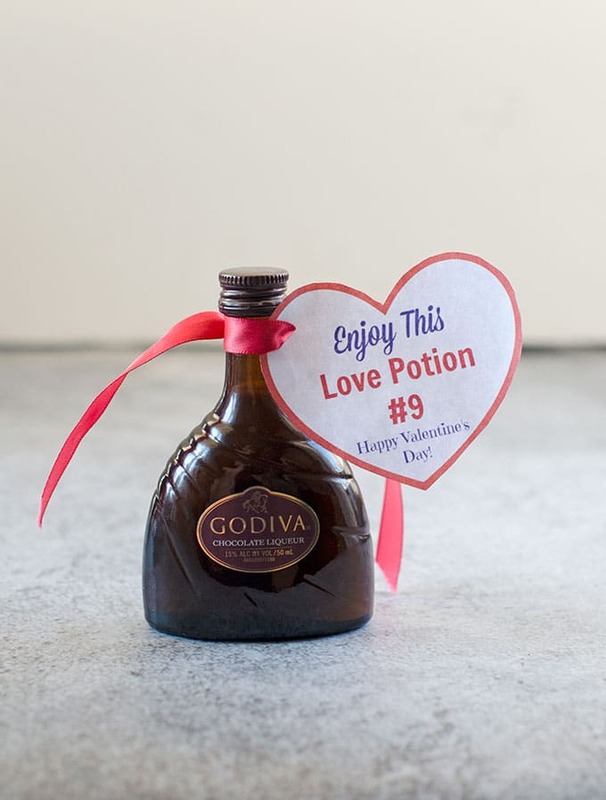 Check out this free printable Love Potion #9 adult valentine! What a super cute idea! This is perfect for the kiddos! Thanks for sharing!